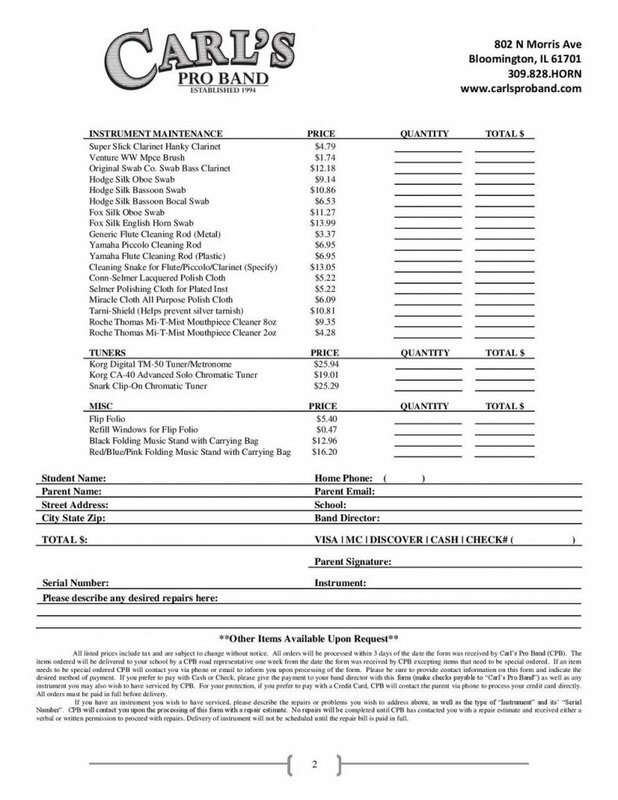 Please print and complete the following accessory order form and return it with payment to your band director. We will then arrange delivery of the items to your school. 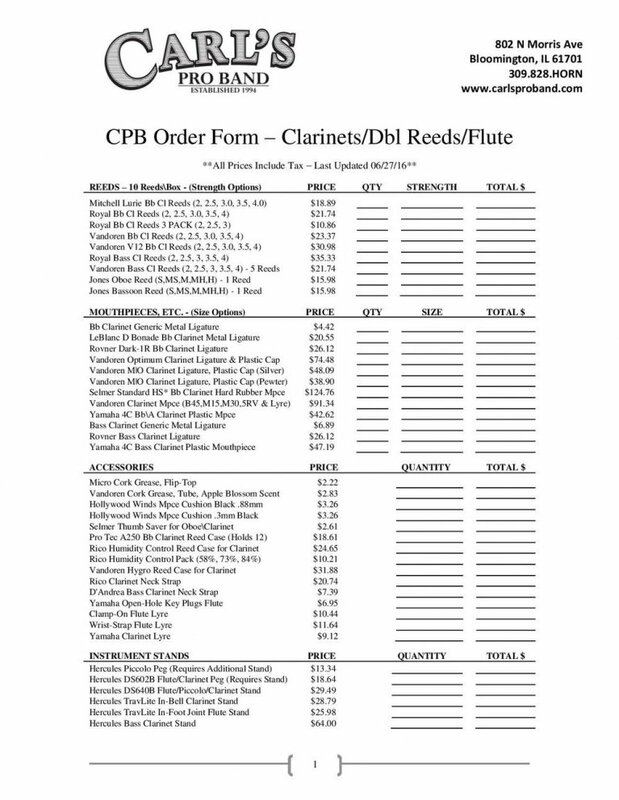 You may also order items directly through Carl's Pro Band by emailing us your order. We make Tuesday morning deliveries to the following schools: East Peoria (Jr. & HS), Morton (Jr. & HS), Washington HS, Dunlap HS, & Streator HS.